In 2014, Aditya Chakrabortty wrote in the Guardian: “[…] as the Tory faithful cheered on George Osborne’s cuts in benefits for the working-age poor, a little story appeared that blew a big hole in the welfare debate. Tucked away in the Guardian last Wednesday, an article revealed that the British government had since 2007 handed Disney almost £170m to make films here. Last year alone the Californian giant took £50m in tax credits. By way of comparison, in April the government will scrap a £347m crisis fund that provides emergency cash for families on the verge of homelessness or starvation. Ministers have admitted this week that more than 4,500 disabled people were wrongly stripped of their benefits despite having a good reason for missing reassessments. The Department for Work and Pensions has now acknowledged the ‘blunder’ – more than one year after a court ruling that the disability living allowance (DLA) payments should not have been stopped. The grossly unfair withdrawal of support happened when disabled people were being transfered from DLA to the government’s cost cutting replacement benefit, personal independent payments (PIP). Disabled people had their lifeline payments stopped entirely. “We expect around 4,600 people to gain as a result of this review exercise,” a statement from Sarah Newton to MPs says. But those disabled people are not “gaining” anything. They are simply being paid what they should have been paid. The admission was slipped out as MPs left Westminster for their Christmas break, as one of a dozen last-day announcements. The disability equality charity Scope described it as “deplorable”. The latest mistake comes in the wake of the DWP admitting to £970m of underpayments to people being migrated onto Employment and Support Allowance (ESA) between 2011 and 2014. Ministers were accused of creating a “hostile environment for sick and disabled people” following the blunder, which occurred when claimants were transferred onto the main sickness benefit, ESA. If the British public are to fund corporations, they should expect and demand that those businesses observe certain conditions of basic fairness. It’s difficult, however, to challenge what is hidden from view. In his article, Chakraborrty discusses the work of Kevin Farnsworth, a senior lecturer in social policy at the University of York, who has spent the best part of a decade studying corporate welfare – delving through Whitehall spreadsheets and others, and poring over Companies House filings. He’s produced the first ever comprehensive audit of the British corporate welfare state. Chakrabortty says: “Farnsworth has achieved something extraordinary: he has yanked into the open an £85bn subsidy that big business and the government would rather you didn’t know about. But it was more a case of “choose now and disabled people still got it.” The cuts to the welfare support for the poorest citizens – paid for by the public FOR the public – were carefully planned and coordinated. Private companies were hired to fulfil a role of discrediting disabled people’s accounts of their disability, and to engage in very bad report writing, with an ultimate aim of resource gatekeeping. At the same time, legal aid was withdrawn to prevent citizens from accessing justice and seeking redress. The government has awarded at least £1.4billion of outsourcing contracts linked to the roll-out of Universal Credit and other welfare reforms since 2012. As Universal Credit continues to be rolled out, forcing the poorest citizens into debt, food poverty and rent arrears, new data has shown the private companies that have profited from implementing the government’s social security reforms. The data, which was obtained by HuffPost UK, was generated by searching Department for Work and Pensions (DWP) public contract tenders for Universal Credit and related keywords. It reveals the vast sums the DWP has spent carrying out health and disability assessments on disabled people claiming support. The information has prompted mental health and disability charities to call for the DWP to urgently review the failing system of assessment. Among the companies that have won contracts are global consultancy giants. Some of the firms’ names are known to the public, but details of the awarded contracts are not. A huge £595million contract was awarded to American consultancy group Maximus to provide health and disability assessments, the largest single DWP contract related to welfare reform since 2012, according to the data. Atos and Capita also won contracts totalling £634million to carry out assessments for Personal Independence Payments (PIP), a disability benefit. Consultancy firm Deloitte was awarded a £750,000 contract for work to support the Universal Credit programme and a £3million deal was signed with IT firm Q-Nomy to develop an appointment booking service for the social security payment, which is intended to simplify working-age benefits. Another £60,000 contract was awarded for the purchase of MacBooks for Universal Credit to Software Box Limited. Vicki Nash, head of policy and campaigns at mental health charity Mind, told HuffPost UK: “Despite the vast amounts the government spends on benefits assessments – delivered by companies like Atos, Capita and Maximus – we hear every week from people with mental health problems who get the wrong decision, leaving them without support. The DWP has awarded 76 separate contracts related to welfare reform since 2012, totalling £1.4billion. But it is estimated that the true figure will be higher as prior to 2015 some government procurement tenders were not published publicly. This changed from 2015 onwards when new rules under the Public Contracts Regulations 2015 meant all tenders had to be made public. Four of the contracts also show a £0 value and do not include the contract amount. Tussell’s figures show the DWP has awarded £4.7billion in outsourced contracts across all areas of its work since 2012. It is clear from the information publicly available that contracts relating to Universal Credit and Personal Independence Payments (PIP) constitute the vast majority of the DWP’s sub-contracting pre-2015. But from 2015 onwards, when the data is more robust, this trend was reversed. Since January 2015, only about 2% (£66million) of DWP contract awards relate to Universal Credit or other welfare reforms of a total £2.8billion bill. The most valuable contract since 2015 was an £8.2million award to Serco to manage a call centre for claimants of the disability benefit PIP. The second was a £6million award to Advanced Personnel Management Group to provide healthcare staff to help conduct work capability assessments for Universal Credit and Employment Support Allowance. Also included are multiple contracts awarded in 2017 regarding Phase 2 of the New Enterprise Allowance scheme, which offers support to those claiming Universal Credit to become self-employed and start businesses. A contract of £8.2million has been awarded to Serco to deliver a new claims telephony service for Personal Independence Payments. 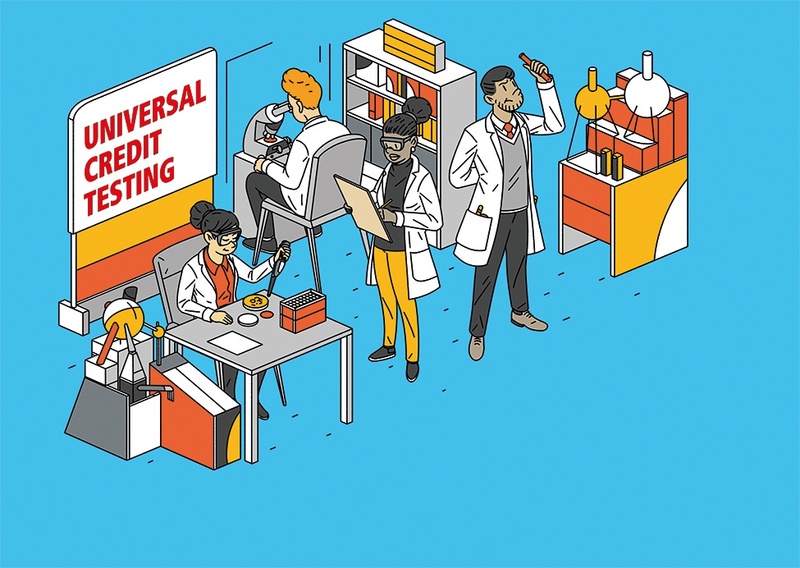 Gus Tugendhat, founder of Tussell, said: “With the controversial rollout of Universal Credit still very much a work in progress, contract notices analysed by Tussell provide insight into some of the challenges the government is facing, including with IT systems and recruiting healthcare professionals for assessments. But it is rather more expensive to deliver. The DWP said that technical support was vital to carry out a digital delivery on the scale of Universal Credit and said the department operates within strict procurement guidelines to ensure maximum value for money. The DWP claim that while Universal Credit will cost £1.7billion to deliver, the new system will bring about £8billion a year in economic benefits when fully rolled out. Farnsworth’s research should have triggered a public debate about the size and uses of the corporate welfare state. In his article about corporate welfare, Aditya Chakrabortty goes on to say “[…] what you get on the issue is silence. A very congenial silence for the CBI and other business lobby groups, who can urge ministers to cut benefits for the poor harder and faster, knowing their members are still getting their bungs. Most of all, a silence at the very centre of our democracy. Personally, I agree with Chakrabortty’s conclusion: I’ll believe we’re getting somewhere when Channel 4 puts on Corporate-Benefits Street – with White Dee replaced by the likes of Amazon founder and inveterate tax-dodger Jeff Bezos, or the sweatshop king pension-swindling crook, Philip Green. The Work and Pensions Select Committee have launched an inquiry into ‘effectiveness of welfare system.’ The Committee say the inquiry was launched as the UN’s Special Rapporteur on Extreme Poverty makes an investigative visit to the UK, and it will consider how effectively our welfare system works to protect citizens against hardship and chronic deprivation. The Committee have noted that the UK’s welfare system is currently undergoing fundamental reform, in the transition to Universal Credit alongside other major and largely untested reforms like benefit sanctions and the benefit cap. The Committee’s latest work on Universal Credit examined how Government will (or won’t) safeguard some of the most vulnerable members of our society as it implements this huge programme of change. After the recent Budget, Members from across the House expressed concerns on this issue, including some senior MPs telling the Government that continuing the freeze on benefits in place since 2010 was “immoral”. Previously, the Work and Pensions Committee inquired into the local welfare safety net in response to changes in the Welfare Reform Act 2012—which replaced several centrally administered schemes with locally run provision—and further changes in the Summer 2015 Budget. The Committee looked at whether these changes represented “localism in action” as claimed, or rather, created a postcode lottery of service provision, with people falling through the gaps or “holes” in the welfare safety net and the costs shunted on to local authorities, services and charities. Ensure reforms such as the benefit cap do not inadvertently penalise groups who cannot actually adapt to it or offset its effects, and that appropriate mitigation strategies are in place. For example, some people cannot find or move to cheaper housing, because none is available, or cannot move in to work because they are a single parent and there is no appropriate childcare in their area. Since then indicators strongly suggest that chronic deprivation is on the rise. These include numbers of households in temporary accommodation, rough sleepers, and people referred to foodbanks, says the Committee. “We are now seeing the grim, if unintended, consequences of the Government’s massive welfare reforms across several major inquiries. Policy decision after policy decision has piled the risks of major changes onto the shoulders of some of the most vulnerable people in our society, and then onto local authorities, services and charities scrambling to catch them if and when they fall. We do have to wonder how much evidence it will take before the government concedes that its draconian welfare policies are discriminatory, ideologically driven, empirically unverified in terms of their efficacy and profoundly damaging; creating poverty and extreme hardships for historially marginalised groups. Much of the contract has been dismantled, including access to justice via legal aid, as well as universal welfare, health care, social housing and many other social gains and safety net provisions that were a fundamental part of the post war democratic settlement. This is a consequence of the Conservative’s coordinated and sustained attack on democracy, public services and establised ideas about universal rights and citizenship, since 2010. It’s very difficult to see this as anything else but an ongoing and intentional attack. The government’s ‘mean spirited’ welfare policies have intended outcomes. They are codified expressions of how a government thinks society ought to be structured. In other words, the all too often devastating consequences of Conservative welfare policies are deliberate and intended. Alston says that the government’s policies and drastic cuts were “entrenching high levels of poverty and inflicting “unnecessary” hardship in one of the richest countries in the world. “When asked about these problems, Government ministers were almost entirely dismissive, blaming political opponents for wanting to sabotage their work, or suggesting that the media didn’t really understand the system and that Universal Credit was unfairly blamed for problems rooted in the old legacy system of benefits,” he said. Yet another example of the government’s strategy of loud and determined denials and sustained use of techniques of neutralisation. A government gaslighting spokesman said: “We completely disagree with this [Philip Alston’s] analysis. With these Government’s changes, household incomes have never been higher, income inequality has fallen, the number of children living in workless households is at a record low and there are now one million fewer people living in absolute poverty compared with 2010. Of course, the empirical evidence does not support this government statement. The Committee is now inviting evidence, whether you are an individual, group or organisation, on any or all of the following questions. Please send your views by 14 December 2018. How should hardship and chronic deprivation be measured? What do we know about chronic deprivation and hardship in the UK? What factors best explain the reported increases in indicators of deprivation like homelessness, rough sleeping and increased food bank use? What about the local variations in these markers of deprivation? If not, how could it better do so? Report, (described above / link)? What are the remaining weaknesses, how should these now be addressed? The report highlights that single parents, care leavers and people with a disability or health condition are disproportionately vulnerable to and affected by the withdrawal of their benefit. The Committee says that “until the government can show unequivocally that sanctions actually help to move these claimants into work, it cannot ‘justify these groups’ continued inclusion in the sanctions regime’. The report authors go on to say: “The Department for Work and Pensions (DWP) must urgently evaluate the effectiveness of the reforms to welfare conditionality and sanctions since 2012, including their impact on people’s financial and personal well-being. “Until the Government can point to ‘robust evidence that longer sanctions are more effective’, higher level sanctions should be reduced to 2, 4 and 6 months for first, second and subsequent failures to comply”. Randomised Controlled Trials have shown sanctions had no effect on in-work claimants’ outcomes, and work coaches are not yet equipped to get enough decisions right. Sanctioning people who are working is too great a risk for too little return. DWP should not proceed with conditionality and sanctions for in-work claimants until full roll-out of Universal Credit is complete, and even then, only introduce sanctions on the basis of robust evidence that it will be effective at driving progress in work. “We have heard stories of terrible and unnecessary hardship from people who’ve been sanctioned. They were left bewildered and driven to despair at becoming, often with their children, the victims of a sanctions regime that is at times so counter-productive it just seems pointlessly cruel. The Work and Pensions Committee are currently looking into the Government’s plans for moving people who are already claiming benefits onto Universal Credit, which merges six “legacy” benefits into one, single, monthly household payment. The Government calls this “managed migration”. The Committee is also looking at the impact of the changes announced by the Government in the 2018 Budget. Most recent evidence session: 24 Oct 2018 – Work and Pensions Committee – oral evidence | PDF version (268 KB) | Published 27 Oct 2018. Evidence given by Steven McIntosh, Director of UK Poverty Policy, Advocacy and Campaigns, Save the Children, Dalia Ben-Galim, Director of Policy, Gingerbread, Joe Shalam, Researcher, Centre for Social Justice, Jonathan Broadbery, Head of Policy and External Relations, National Day Nurseries Association Gaynor Rowles, Hairdresser, Lucy Collins, Beauty technician, Vikki Waterman, Administrator, Thuto Mali, full time mum. I don’t make any money from my work. But you can make a donation if you like, to help me continue to research and write free, informative, insightful and independent articles, and to provide support to others. The smallest amount is much appreciated – thank you. Last year I fell into difficulties because my housing benefit was decreased. I struggled to make up the shortfall to pay my rent. I also had to pay council tax as my council tax benefit was reduced. I made an appointment with my local council welfare service, who advised me to claim Discretionary Housing Payments. They supported me in working out my monthly expenses and they found that I was over £200 a month short to meet my basic living costs, including rent. I was very ill at the time with a severe flare up of lupus and my mobility was extremely poor. The welfare service contacted occupational therapy on my behalf, and they organised an appointment for an assessment, and subsequently, for the provision of some aids and adaptations in my home because I often struggle getting about. The welfare service advised me to claim Personal Independent Payment (PIP) and supported me with my claim. I had such a distressing experience claiming Employment and Support Allowance (ESA) in 2011, having to appeal the decision, then almost immediately after winning at tribunal, I was sent for a re-assessment, that I had put off claiming PIP for six years, even though I needed the support very much. The distress and strain caused by each assessment, including the one for PIP, has exacerbated my illness. The housing team decided that Discretionary Housing Payment (DHP) would be awarded for a year. This is a fairly standard award length. The DHP was to help cover the extra cost I had because of the deductions being made to my housing benefit while my son was at home. He took six months out from university because in February 2017 I developed pneumonia and sepsis. I was very seriously ill and almost died because I developed severe sepsis and septic shock. My son supported me after I came home from hospital, while I recovered, which took several months. When I was awarded PIP, my housing benefit was amended and an increase in my award was backdated to the date of my claim for PIP. Because my son was staying at home, deductions had been made – the bedroom tax – because he was classed as a ‘non dependent’, even though he had no income for that period, as he is a student. The council tax charge arose because of the same reason. Although my rented property is a private one, my local council nonetheless call the non dependent deduction a bedroom tax. Councils are not allowed to make deductions for non dependents from people who have a PIP award with the daily living component. I came across this rule on the government site. I notified the council and explained the rule, as they didn’t seem to know about it. I was then reassessed and awarded the money that was deducted from my housing benefit for the bedroom tax, and the council backdated the amount they repaid to when I first made my PIP claim, which was from late July to April, 2017. I received a letter explaining how my housing benefit had been worked out again. I then received a letter from the Discretionary Housing Payments section of the council, saying I had been overpaid DHP from April to July. This is because my housing benefit had increased and the increase was backpaid. I was told I had to repay the DHP. It was deducted from my housing benefit without further discussion – leaving me short again for my rent and defeating the objective of DHP. I had claimed DHP early last year because of the bedroom tax shortfall. I was not informed about the rule that councils cannot make deductions for non dependents if someone is awarded the daily living component of PIP, I had to find that out myself. Nor did the council indicate that if my housing benefit was increased by the housing benefit section retrospectively, that would mean I may have to repay my DHP. I was not informed that if the housing benefit sector had made an error, I may be expected to repay the DHP awarded. However, the error occured through no fault on my part, so I ought to have challenged the claim of overpayment, but I did not know the rules about this at the time. I was not informed at the time I made my claim for DHP that if I got my PIP award, my housing benefit would increase and that the increase would be backdated to the date of my PIP claim. It’s also reasonable to assume that the housing benefit office would have taken into account that I had a DHP award when they paid me the money for the deductions they had made over that period. Money was taken from my housing benefit to recover the DHP, which left me in hardship again every month. This defeats the whole stated purpose of DHP awards. However, I have since learned that DHP ‘overpayments’ are only deemed as such in certain circumstances, which are not applicable in my case. I should not have been asked to repay my DHP. I also learned that deductions for overpayments CANNOT be made from ongoing housing benefit awards, Universal Credit awards or any other benefit. Housing benefit and DHP are seperate awards. Neither of those criteria apply. When the application was determined, I was not in receipt of PIP. The bedroom tax and council tax deductions were being made, and that predated my application for DHP and was not through any fault of my own. The non dependent deductions continued until after I had notified the council of my PIP award, and I had to inform them of the rule about PIP daily living component and non dependent deductions myself before they reassessed my claim, because I read the rules about this on the government PIP website last year. I was then awarded the total amount that had been deducted for a ‘non dependent.’ I had to ring several times before the council tax I had paid was given back. The council had not even considered repaying me those deductions. I was not informed at any time that I may be asked to repay any of the DHP award, and I think it is fair to assume that the housing benefit department took the DHP award into account when they made their decision to pay me the deductions they had taken, and when they calculated the amount I was owed. The DHP section claimed I was overpaid despite the fact that this doesn’t tally with government guidelines, which outline what circumstances may be defined as an overpayment. None of the criteria applied to the circumstances of my claim. The guidance states that if the claimant has not contributed to an error, then they should not be asked to repay any DHP. The money was deducted from my housing benefit award from towards the end of last year, and throughout most of this year – I had to ring and ask for the weekly deductions to be reduced early this year as they were causing me hardship. The minimum deduction the DHP section said they could make was £10 per week, and they had been taking £20 per week. It seems the council are not aware of the rules that apply to non deductions and PIP, or to DHP awards and the rule that says ‘recovery’ cannot be made by making deductions to ongoing housing benefit/Universal Credit. But it is too late for me to query or challenge the recovery as all of that DHP award period has now been taken from my housing benefit. I only found the government DHP guidelines this year, because another problem has arisen. It seems that people who claim any support have to become welfare specialists in order to understand the rules and guidelines because many administrative authorities don’t seem to know them. Or perhaps they know about them but are reluctant to apply them until they have to. Yet today I checked the council’s website and found a section on DHP administration, and the rules I have cited here are clearly written in their own guidlelines. From April this year, the council had been making more ‘non dependent’ deductions for my other son who, they now tell me, was assumed to have left home because he was in university. That, they told me, left me with a ‘spare room’. The council did not tell me they had reduced my payments, or provide any explanation. The DHP section were also making deductions from my housing benefit, though my award from DHP was ended at the time. That is not supposed to happen according to the government and my local council’s rules. 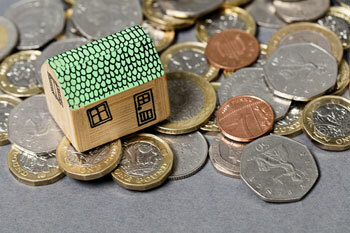 The government guidelines say that if there is a deemed overpayment of DHP, it cannot be deducted from an ongoing housing benefit or universal credit award. I did not know this at the time, and the deductions continued until September, when I rang the council to ask why my housing benefit payments were so low, leaving me with a huge shortfall to find for my rent. I did know about the DHP deductions, but had assumed that the council were acting according to the rules. They told me that my son had left home and gone to university. I explained that he had not. Again. My youngest son left university last September. While he was at university, he returned home out of term times, and was therefore legally classed as living at home. The council had previously assumed my older son had left home too when he first went to university, but I found the rule on the government website that says if students return home – out of term times, for example – then they are legally classed as living at home and non dependent deductions cannot be made in these circumstances. I challenged the decision to reduce my housing benefit at that time, because the council benefit office notified me of their intention. They ended the deductions for the ‘spare room’, because I provided evidence that my son returned home outside of term times. However, I had NO notification about the decision to deduct money from my housing benefit for my younger son – a ‘bedroom tax’ – or any explanation why my benefit was reduced. He returned home out of term times (so was legally classed as living at home) and anyway, the dates that the housing benefit office applied the bedroom tax, my son had already left university and returned home permanently. As I am in receipt of PIP daily care component, they cannot make deductions for a ‘non dependent’ from my housing benefit. I challenged the underpayments and was paid the money that was deducted, again, as it was the councils’ mistake because they did not notify me about why they were making deductions, and gave me no opportunity to challenge the decision. With the recent letter explaining how the reimbursment had been worked out from the housing benefit section, there was a notification from DHP section dated 25 September this year, thanking me for a claim I never made this year – they had retrospectively made an award and backdated it to last year, which I thought was very odd at the time I got the bundle of documents in the post. Going through my bank statements, I can see something isn’t right with what the DHP section are claiming because it doesn’t seem that I was paid the DHP for the most recent period. The amounts I received for housing costs were way too low, even accounting for the deductions for my son, made in error on the housing benefit sections’ part. And the housing benefit section would surely not reimburse DHP payments as they are seperate thing. Yet DHP section claim I have been ‘paid twice’. To complicate things further, DHP were making deductions from my housing benefit over some of this period too for the previous ‘overpayment’. I went through the housing benefit amounts I was originally paid on my bank statement over the last year and a half. The amounts I got over the period varied. Up until late September, 2017, it was clear that I was getting DHP, as the shortfall between my housing benefit and rent was £50. Then my overall housing benefit amount dropped by a further £20 fortnightly. This is the period that DHP now claim I was ‘overpaid’, yet I can’t see any evidence they actually paid me my award over this time span on my bank statement. It’s very confusing and the lack of transparency regarding payment details means that I am struggling to work out exactly what was deducted for bedroom tax, what DHP were deducting at the time, and what they were actually paying me, since they claim they were making payments. I asked the council yesterday for a breakdown of information regarding this matter yesterday and I was advised, unbelievably, to submit a Freedom of Information (FoI) request. I’m not sure that people can submit FoIs about themselves. I think he probably meant meant a Data Subject Access Request (SAR), on reflection. However it should not be down to me to have to inform the council of the rules they ought to be following and to have to interpret badly worded advice. It’s reasonable to expect that council advisors give correct information and advice. In any event, bearing in mind that I have a month to submit my request for a review, and SARs often take quite a bit of time (and there’s no guarantee that the information will be provided), I think this was absolutely appalling advice. I asked for a precise breakdown of my payments and deductions – something you would expect a council to provide as a matter of transparency and as reasonable practice, and was subsequently presented with bureaucratic barriers to accessing that information. The advisor I spoke to seemed as confused as me. I told him that DHP section are not permitted to make deductions from my ongoing housing benefit award, and he asked me where I got that information from. He then claimed that DHP can be deducted from a DHP award, implying that is what has happened. However, I pointed out that my DHP award had ended in April 2018 (it was awarded for one year) and DHP had been making deductions since then until October this year. He fell silent at that point. I did not cause or contribute to the error, nor was I aware if too much was paid or not. So the advisor was claiming to be unaware of the council’s own rules, and furthermore, the council HAVE made deductions from my housing benefit award for DHP ‘overpayment’ from April to September this year when the council’s own rules state clearly that DHP administrators should not do so. If the council don’t consider that is an option in my case, as a disabled person who has been deemed ‘vulnerable’, it is highly unlikely they will for others in similar circumstances. I have now received an invoice for the amount DHP claims I was overpaid. However, the invoice has defined the overpayment as ‘housing benefit’, which is of course incorrect. I have been given 7 days to pay the amount. DHPs are discretionary and not subject to the statutory appeals mechanism, but they are subject to mandatory review. Reading the government guidelines, the options available to DHP administrators are to a involve a debt collection agency and/or to take me to court if I don’t/can’t pay. I can’t pay. The council have told me to write a ‘complaint’. I was not informed of any further options. However, reading the government guidlelines, my options are to ask for a review. If the matter is unresolved after that, I may then refer this matter to an independent council ombudsman. I can also ask for a judicial review. I shall be pursuing each of those options as necessary, if the situation remains unresolved. I’m an ill and disabled person in receipt of PIP and the ESA support component. The council health and adult care section have assessed me and provided aids and adaptions in my home. The support I received from the council’s welfare service and occupational therapy has been excellent. The housing benefit and DHP offices, however, have let me down very badly. My claim for DHP has actually increased my hardship in the longer term, and rather than mitigating the effects of government welfare reform and alleviating consequential hardships that affect vulnerable people, as intended, it has made my situation worse and caused me a significant amount of confusion, anxiety and distress. I suffer with cognitive difficulties because of my illness, and trying to sort out mistakes made by the council and research the rules that the council ought to know about and apply has been both extremely stressful and difficult. I lost a night of sleep going through my bank statements yesterday. All of these events have seriously undermined my trust in the housing benefit and DHP offices, as these mistakes span over 2 years. All of this very clearly highlights just how unfit for purpose government provision for ‘those most in need’ actually is. I have two children, one still at university, both still live at home. I think that the political term ‘non dependents’ is a particularly nasty and authoritarian redefinition of adult children in poorer families, that undermines family bonds and attempts to redefine family relationships in terms of financial arrangements. Neither of my younger sons can be defined as ‘non dependent’ because they still need a lot of financial and other kinds of support from me. I have a modestly sized 3 bedroomed house which has been adapted to meet my needs. There are no ‘spare rooms’, and my rent is actually relatively low. That said, the Local Housing Allowance (LHA) has been frozen for some years now, which means people like me have a large shortfall between the amount of housing benefit they can claim and the rent costs. The bedroom tax was a particularly spiteful Conservative policy aimed at the poorest citizens, and it has disproportionately affected disabled people. It’s a very authoritarian government that feels comfortable dictating the precise amount of living space some citizens are permitted, but then does not make any further provision to ensure that people can actually meet those mean spirited specifications. I’ve written two lengthy pieces about the new report and submission this month to the UNCRPD – UK Independent Mechanism update report to the UN Committee on the Rights of Persons with Disabilities (published October 2018 by the Equality and Human Rights Commission) – which provides an independent assessment of the UK Independent Mechanism (UKIM) on the “disappointing” lack of progress by the UK governments to implement the UN’s recommendations since August 2017. You can access the articles here and here. This is important because it shows just how embedded traditional Conservative prejudice is in policy design and within the practices that social security administration has come to entail. The idea that welfare somehow creates the problems it was designed to alleviate, such as poverty and inequality, has become almost ‘common sense’ and because of that, it’s a narrative that remains largely unchallenged. The Conservatives believe that generous welfare provision creates ‘perverse incentives’. Yet international research has shown that generous welfare provision leads to more, better quality and sustainable employment. Moreover, this ideological position has been used politically as a justification to reduce social security provision so that it is no longer an adequate amount to meet citizens’ basic living needs. The aim is to discredit the welfare system itself, along with those needing its support. The government have long wished to replace the publicly funded social security provision ultimately with mandatory private insurance schemes. The idea that welfare creates ‘dependency’ and ‘disincentivises’ work has been used as a justification for the introduction of cuts and an extremely punitive regime entailing ‘conditionality’ and sanctions. The governenment have selectively used punitive behavioural modification elements of behavioural economics theory and its discredited behaviourist language of ‘incentives’ to steadily withdraw publicly funded social security provision. However, most of the public have already contributed to social security, those needing support tend to move in and out of work. Very few people remain out of work on a permanent basis. The Conservatives have created a corrosive and divisive myth that there are two discrete groups in society: tax payers and ‘scroungers’ – a class of economic free riders. This intentionally divisive narrative of course is not true, since people claiming welfare support also pay taxes, such as VAT and council tax, and most have already worked and will work again, given the opportunity to do so. For those who are too ill to work, as a so-called civilised society, we should not hesitate to support them. The government’s mindset is very disciplinarian. In their view, everyone else needs ‘corrective treatment’ to ensure that society is shaped and ruled the way they think it ought to be. The government believes that rather than addressing social problems – many of which are created and perpetuated by their own policies, such as growing inequality and absolute poverty – can be addressed by ‘incentivising’ people to ‘behave’ differently. In other words, they believe that people can be punished out of poverty, being ill, being out of work, and from being less “competitive”, cost effective citizens, letting down the Conservative’s constructed, overarching neoliberal state. Public policies that are supposed to address fundamental human needs arising from sickness and disability are tainted by a neoliberal idée fixe. The leitmotif is a total corporacratic commodification of human needs and relationships. This has entailed the government permitting private companies to build toll gates to essential support services, building hierarchies of human worth within the closed and entropic context of a competitive market place, where resources are “scarce” and people are being herded; where the only holding principle that operates is profit over human need. “We have already come a long way in the last 5 years. In the last Parliament we created Universal Credit so that work would always pay. We capped benefits so we struck the right balance between incentivising work and supporting the most vulnerable. And we set up the largest programme to get people into work since the 1930s with over a million people coming off the main out of work benefits and over 2 million getting into work. But when it comes to reforming, we still have further to go …” David Cameron, June 2015. The Centre for Social Justice (CSJ) is a neoliberal right wing think tank, founded by Iain Duncan Smith. The CSJ has played an important role in the design and development of Universal Credit. In the opening paragraph, the report says: “William Beveridge’s original blueprint for a welfare state had personal contributions at its core. Indeed, there is widespread consensus that the contributory principle inculcates a degree of responsibility and ownership in a system that has been criticised for breeding dependency.” (My emphasis). These are views widely held by neoliberal Conservatives, not everyone else. As UKIM pointed out in their report, the term “welfare dependency” is itself controversial, often carrying derogatory connotations that the recipient of welfare support is unwilling to work. This narrative has diverted attention from the structural factors that cause and entrench poverty, such as government policy, labour market conditions and economic change. Instead of focusing on how to tackle the root causes of poverty, the Conservatives have focused instead on attacking the supposed poor character, morals and psychology of those needing social security support. This narrative transforms individual experiences of social inequality and being in poverty into a personal failing, rather than a failure of the state. The ideas came from political writers such as Lawrence M. Mead. In his 1986 book Beyond Entitlement: The Social Obligations of Citizenship, Mead argued that American welfare was too permissive, giving out benefit payments without demanding anything from poor people in return, particularly not requiring the recipient to work. Mead viewed this as directly linked to the higher incidence of social problems among poor Americans, more as a cause than an effect of poverty. Neoliberal governments in both the US and UK found these ideas appealing, and the government of Margaret Thatcher imported several other similar US ideas. Charles Murray argued that American social policy ignored people’s inherent tendency to ‘avoid hard work’ and to be ‘amoral’, and that from the ‘War on Poverty’ onward the government had given welfare recipients disincentives to work, marry, or have children in wedlock. His 1984 book Losing Ground was also highly influential in the welfare reforms of the 1980s and 90s, and remains so among neoliberal Conservatives. Murray exhumed social Darwinism and gave the bones of it originally to Bush and Thatcher to re-cast. Murray’s culture of poverty theory popularised notions that poverty is caused by an individual’s personal deficits; that the poor have earned their position in society; the poor deserve to be poor because this is a reflection of their lack of qualities, poor character and level of abilities. Of course, this perspective also assumes that the opposite is true: wealthy and “successful” people are so because they are more talented, motivated and less lazy, and are thus more deserving. Just like the widely discredited social Darwinism of the Victorian era, proposed by the likes of Conservative sociologist Herbert Spencer, (who originally coined the phrase “survival of the fittest,” and not Darwin, as is widely held) these resurrected ideas have a considerable degree of popularity in upper-class and elite Conservative circles, where such perspectives provide a justification for extensive privilege. In addition, poor communities are seen as socialising environments where values such as fatalism are transmitted from generation to “workshy” generation. This toxic brand of neoliberal anti-welfarism, amplified by the corporate media, has aimed at reconstruction of society’s “common sense” assumptions, values and beliefs. Class, disability and race narratives in particular, associated with traditional prejudices and categories from the right wing, have been used to nudge the UK to re-imagine citizenship, human rights and democratic inclusion as highly conditional. “One of the reasons why this has not happened so far has been the commitment to EU rules on maintaining a benefit programme that is exportable. The British Government succeeded in establishing that Universal Credit would not be exportable as long as contributory benefits were. During the round table discussion, participants discussed a “potential solution” put forward by private company Legal & General. The report itself carries legal & General’s logo. Yes, the one that most citizens have already contributed to. It is not ‘state’ welfare, it is publicly funded social security. The report continues: “One of the barriers to wide-spread acceptability of a private insurance model ahead of a state-contributory benefits model is the emotional reaction by claimants who have paid taxes but are no longer entitled to a benefit payment. Many trust the system to pay out – any alternative outcome could undermine trust in the state welfare system. The benefits to whom, exactly? Legal & General and the wider private insurance sector ? More of the rub: “Another challenge is the extent to which a new social insurance model could be extended to include both unemployment and sickness support currently covered by ESA and JSA contributory benefits. PwC (PricewaterhouseCoopers) has estimated that the annual cost of sickness absence in the UK is almost £29 billion. (Hyperlinks added by me). Premiums should be treated as income in the Universal Credit system, promoting use of the social insurance system. The notion of a social insurance model must be communicated correctly; Lessons can be learned from past government announcements on, for example, privately run prisons. The support of business is essential, and communication must be clear as this is another product that sits alongside auto-enrolled pensions, the new lifetime ISA, and the apprenticeship levy. High opt-out rates risk destabilising the functionality of a voluntary model, and will therefore determine the necessity of a mandatory system or at the least an opt out model. Individuals who do not draw down on their insurance pot could be offered financial recourse in the form of either a savings or pensions benefit. reduce levels of fraud and error. However, ‘worklessness’ and ‘welfare dependency’ are contested categories based on assumptions and not empirical evidence. Our welfare state originally arose as a social security safety net – founded on an assurance that as a civilised and democratic society we value the well-being and health of every citizen. Now the UK “social security” system is anything but. It has regressed to reflect the flawed and discredited philosophy underpinning the 1834 Poor Law Amendment Act, to become a system of punishments aimed at the poorest and most marginalised social groups. The Poor Law principle of less eligibility – which served as a deterrence to poor people claiming poor relief is embodied in the Conservative claim of Making work pay: benefits have been reduced to make the lowest paid, insecure employment a more appealing option than claiming benefits. Back in the 1970s, following his remarks on the cycle of deprivation, Keith Joseph established a large-scale research programme devoted to testing its validity. One of the main findings of the research was that there is no simple continuity of social problems between generations of the sort required for his thesis. At least half of the children born into disadvantaged homes do not repeat the pattern of disadvantage in the next generation. Despite the fact that continuity of deprivation across generations is by no means inevitable – the theory is not supported by empirical research – the idea of the cycle of ‘worklessness’ has become common sense. Clearly, common perceptions of the causes of poverty are (being) misinformed. 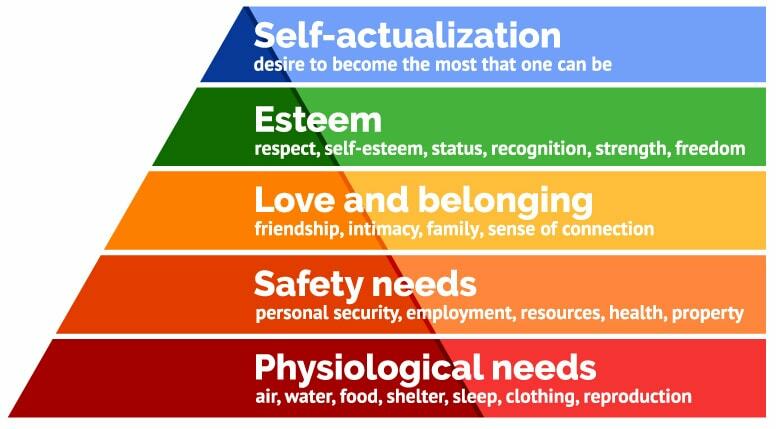 The individual behaviourist theory of poverty predicts that the same group of people remain in poverty. This doesn’t happen. However, the structural theory predicts that different people are in poverty over time (and further, that we need to alter the economic structure to make things better). Longitudinal surveys show that impoverished people are not the same people every year. In other words, people move in and out of poverty: it’s a revolving door, as predicted by structural explanations of poverty. Therefore the very ideological premises of Conservative welfare policy is unevidenced and fundamentally flawed. Other statutory payments made by employers to employees entitled to maternity, paternity and adoption leave. The government’s ‘low tax low welfare view of society, coupled with a decade of very low wages and rising costs of living has created ‘tax constraints’ that conflict with the demands made on the welfare state, the government says. Substituting private insurance for tax-financed welfare provision is being touted as some kind of painless way out of those self imposed ‘constraints’. However, in general, switching from tax-financed social security to private insurance, where premiums are related to each individual’s risk status, will be ‘regressive’, that is, it will benefit the better-off at the expense of the less well-off. Certain citizens will not be offered cover because their level of risk is too high to make it profitable and economic for private insurance companies. This will also add to the regressive effects. Certain risks will be excluded from cover as a result of the nature of the insurance market. If the state still provides some kind of safety net, it may end up with all of the ‘downside risk’ but none of the ‘upside gain’: if things turn out badly and insurers are unable to meet their commitments, the state has to fill the gap created, but if things turn out well, it is the insurers who keep the surplus and profit. In discussing the future of the welfare state, the question of whether the private sector should take on some of the insurance functions currently provided by social security has almost inevitably arisen. However, much of this debate has a purely ideological basis. Switching from social security to private insurance generally increases costs for those on low incomes; premium levels for products mean that those with average incomes and average risk also lose. For many insurance products, women, older people and those in poor health lose the most. For many with higher incomes, the role of permanent health insurance is already filled by long-term occupational sick pay while for those with lower incomes, affording enough cover to get clear of means-tested benefit entitlement is difficult. Uncertainty over future long-term care needs and costs makes policies virtually impossible to assess, for both consumers and providers, making reliance on private insurance a dubious proposition. The nature of the risks leads to policies which limit coverage and exclude some groups, including those without good employment records and people with disabilities. Tax-financed provision offers not only the most equitable but also the most efficient solution, minimising costs to average-risk as well as high-risk and low-income ‘consumers’ and preserving the advantages of unified public finances. Furthermore, it retains the integrity of the original aims of the welfare state and ensures a democratic state. UKIM’s report to the UNCRPD raised other concerns about the potentially negative impact of Brexit on the human rights of disabled people, which you can read about here. My work is unfunded and I don’t make any money from it. But you can support Politics and Insights by making a donation which will help me continue to research and write informative, insightful and independent articles and to provide support to others. On Wednesday, I travelled down to Westminster to meet with John McDonnell, Margaret Greenwood, Mike Amesbury and Marsha de Cordova and a group of disability rights campaigners, journalists, researchers and organisations. One of the issues we discussed during the meeting was the harm and distress that the roll out of Universal Credit is creating for some of our citizens. I got back from my trip to the Commons, arriving by train back in Newcastle around eleven, I missed the last bus back to Durham. Outside of the train station, I met Liam, a young homeless man, and his partner, Michelle. Liam told me that the couple became homeless because of the inbuilt failure of Universal Credit to support people both in and out of work. Liam took some temporary work over last Christmas, and was promised that there would be full-time posts in the new year. However there was no full-time work available, and Liam explained that although they had claimed Universal Credit over this period, the couple didn’t receive any support at all. As the work was part-time and the pay was low, Liam and his partner ran up rent and council tax arrears very quickly, as they could not afford to meet their basic living costs. When Liam’s part-time work ended, he was told at the job centre that he had to start a new Universal Credit claim. Yet government ministers have assured us that this doesn’t happen. It was during this time that the couple ended up with arrears which led to their eviction. The housing association that the couple rented their flat from significantly pressured Liam into signing an eviction order that was effective immediately. The couple lost most of their belongings as well as their home. The situation has quickly spiralled downwards. Liam also said that many people are just one pay cheque away from homelessness, but they don’t realise that until it happens to them. I made sure they have some accommodation for tonight, at least. I’m not well off but gave them what I had. Liam told me he hasn’t slept for several nights, because he has to keep Michelle safe. They have to pay £15.50 for a temporary room for the night. That is the only available help they can access. As the couple cannot claim any welfare support, the fact that temporary accommodation costs them money, and of course they need to eat, leaves them with no choice whatsoever but to beg. They do access ‘People’s Kitchen’ in the city, too. 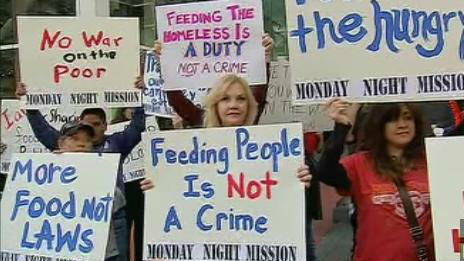 But although it helps in providing food sometimes, it isn’t adequate provision for people who are homeless 24/7. What struck me most about this couple is how friendly and humble they were, and that they are both such lovely people. One word that kept cropping up over and over in my dialogue with them was ‘invisible’. Our whole society looks the other way. Liam told me it is always assumed that homeless people are substance abusers, yet neither Liam nor Michelle drink alcohol or use drugs. It’s distressing enough to end up homeless without the additional prejudices and stigma attached to it. Often, anti-social behaviour powers are used to ban activities often associated with rough sleeping, and concerns have grown that an increase in the use of these powers is criminalising homelessness and is not addressing the root cause of the problem. Begging is also an offence under section 3 of the Vagrancy Act 1824 (as amended). It is a recordable offence. The maximum sentence is a fine at level 3 on the standard scale (currently £1000). I’m wondering how people that cannot afford a roof over their head and need to beg for food would manage to somehow produce money to pay a fine. Other provisions also criminalise ‘begging behaviour’: wilfully blocking free passage along a highway is an offence contrary to section 137 of the Highways Act 1980 (as amended), punishable by a level 3 fine. Using threatening or abusive words or behaviour is an offence under section 5 of the Public Order Act 1986, which also carries a level 3 fine. Voluntary sector organisations have voiced concerns that the use of anti-social behaviour powers to tackle rough sleeping is criminalising homelessness and leaving vulnerable people in an even more marginalised position. According to Liberty, a Human Rights organisation, “PSPOs don’t alleviate hardship on any level. They are blunt instruments which fast-track so-called “offenders” into the criminal justice system”. Liberty has urged the Government to rethink these powers: “handing hefty fines to homeless people … is obviously absurd, counterproductive and downright cruel”. There was a notice up on the train station door that said begging is illegal. Liam has been prosecuted twice under section 35, and a dispersal order was served on him, preventing him from returning to the area for 48 hours. The policeman was stiffly polite, but he hovered around waiting for me to leave, which was a little intimidating. I told him I would hold conversation with whoever I chose to. I felt that Liam and Michelle were being harassed. It was a stark contrast to the experience of homeless people outside of King’s Cross station that I witnessed. While I was chatting to them, a charity group arrived with a table and some food, which was set up right outside. The policeman there was friendly with the homeless group and chatted to them, while they ate their meal. Prior to becoming homeless, Liam had no criminal convictions. Now he has been criminalised for begging because he is homeless. He also told me he stole food on one occasion from the shop Greggs because the couple were starving. They seldom have enough food to get by, and the impact of hunger on their health is a major concern. Health care for homeless people is a major public health challenge. Homeless people are more likely to suffer injuries and medical problems from their lifestyle on the street, which includes poor nutrition, exposure to the severe elements of weather, and a higher exposure to violence (robberies, hate crime, beatings, and so on). Yet at the same time, they have little access to public medical services or clinics, in part because they often lack identification or registration for public health care services. There are significant challenges in treating homeless people who have psychiatric disorders because clinical appointments may not be kept, their continuing whereabouts are unknown, their medicines may not be taken as prescribed and monitored, medical and psychiatric histories are not accurate, and for other reasons. Yet despite the fact that the couple have had no support at all, Liam has gone into the job centre and local library pretty much every day to look for work. He has finally found a painting and decorating job, which he starts on Monday. Imagine just how difficult it is to do this without access to a regular bed, clean clothes and washing facilities. As a society, we seemed to have forgotten this fundamental human right in the punitive political era of citizen ‘responsibilities not rights’. But I have yet to see a homeless person successfully punished out of being homeless. Prior to 1983, the term homeless implied that economic conditions caused homelessness. However, after 1983, under the neoliberal regime of Margaret Thatcher, conditions such as alcoholism and mental illness also became associated with the term in the media. This narrative was often backed up with testimony made by high-ranking Conservative officials. Yet one of the major causes of home;essness is a lack of sustainable employment and adequate wage levels. This stigmatising approach rested on the notion that the people who are sleeping on the streets are those who are homeless by choice. I have no idea how this narrative of blaming the victims of neoliberalism gained traction, but somehow it has. It is being used to drown out the voices of those that have been failed by dismal neoliberal policies. This claim – that homelessness is about ‘personal choice’ and an individual’s cognitive and psychological condition, untethered it from the broader structural context, and in particular, from the New Right’s neoliberal reforms sweeping through the socioeconomic system. In the broader sense, it tended to portray homelessness as something that would exist even under the best economic conditions, and therefore independent of economic policies and economic conditions. Homeless people may find it difficult to vote as they have no fixed address, they may not have identification documents, or a mailbox. However, equal access to the right to vote is crucial in maintaining a democracy. One effect of the political and media stigmatising and dehumanising project has been a total social exclusion. Homeless people experience a profound isolation. This gives the homeless community no say in how things are. Neither government nor wider society listen to them or consider their accounts of their experiences. Yet we can’t claim to live in a democracy when increasing numbers of citizens facing destitution and living in absolute poverty are excluded politically, economically, culturally and socially. The only way that things will ever change for the better is if we do listen. And hear about the lived experiences of Liam, Michelle and the growing numbers of others who have been made destitute by a broken system. *It’s important that people know they are still eligible for Universal Credit if they become homeless. If you are told you are not at the job centre, you should challenge this. “There is some confusion around whether or not homeless people can claim Universal Credit. “I would like to reassure people that support is available, and it’s incredibly important that people who are homeless – whether they’re rough sleeping, sofa surfing or living in temporary accommodation – should, and are able to, receive this support. Usually when a person makes a claim for Universal Credit, they are asked to provide an address to register their claim to. If a person doesn’t have a fixed address they can register their hostel or temporary accommodation as their address, and if they’re rough sleeping they can use the job centre address. Undoubtedly, having ID makes the process of applying for Universal Credit simpler and quicker but in cases where a person doesn’t have ID, work coaches can use other methods to identify a person and help them make a claim. This isn’t just for people who are homeless, but could be used in other situations as well, such as for people who have lost belongings in a fire or flood, or if they’re fleeing domestic violence. Having a bank account is important, and it makes it easier for people to make payments, manage money and get into work. But we understand that a homeless person may not necessarily have a bank account. There are measures in place to make payments through other methods, including post office accounts or the Payment Exception Service, and a work coach can help people through the process of setting up a bank account when appropriate. You can ask Job centre staff to apply an ‘easement’ of up to one month, which means a person is not asked to look for work during this period and can focus on finding suitable accommodation. Justin Tomlinson, minister for family support, housing and child maintenance, has said you CAN. I don’t make any money from my work. But you can help by making a donation to help me continue to research and write informative, insightful and independent articles, and to provide support to others. The smallest amount is much appreciated – thank you. A grieving family have been forced to pay their loved one’s rent for three weeks following his death. Ronnie Cowan, the MP for Inverclyde, has spoken out in parliament about the shocking treatment of one of his constituents because of callous Universal Credit rules concerning bereavement. The Department for Work and Pensions have decided that if a Universal Credit claimant dies, regardless of when, they are classed as having died from the start of their four week assessment period, which can result in families being liable for their rent payments, and possibly council tax. This means that the government is outrageously clawing money from people for up to three weeks before they die and from their bereaved families. A spokesperson for Department for Work and Pensions told me: “The death of a claimant is a relevant change of circumstances affecting entitlement to Universal Credit. When a single claimant dies there are no further payments due. For the purpose of the award calculation, the death is treated as if it occurred at the beginning of the assessment period. Payment of Universal Credit continues as if the person had not died for the assessment period in which the death occurs and the following two assessment periods. At the start of the year, Mr James Moran from Harthill in my constituency qualified as an HGV driver and managed to find work on a zero-hours contract as a driver while also receiving universal credit—exactly the sort of scenario under which universal credit was supposed to work better. Not long after gaining employment, however, Mr Moran was sanctioned, despite being in employment. As he started the process of appealing the sanction, he suffered a stroke, which meant that he was no longer able to work as a driver. As the sanction was still in place, he returned home from hospital with no means of receiving an income. Despite getting some help from his elderly parents, Mr Moran struggled with no money whatever for more than a month. He then suffered a second stroke. Mr Moran has advised me that the doctors who treated him in hospital at the time of his second stroke admission told him that the low blood pressure that caused the second stroke was almost certainly caused by malnourishment. That malnourishment was a direct result of a DWP sanctioning error, forcing Mr Moran to live without an income—to live on fresh air. I wrote to the Secretary of State about the case on 1 September and have repeatedly chased his office for a reply, but I have received nothing in return to date. The six-week minimum wait appears to be built into the Secretary of State’s correspondence turnaround as well. I do not take that personally, because I gather from press reports that the Chair of the Select Committee on Work and Pensions has had similar problems with getting the Secretary of State to put pen to paper. Perhaps he will now chase a reply. Universal Credit is clearly NOT an “evidence-based” policy, as claimed, since its architects and other government ministers refuse to recognise any evidence that contradicts their narrow ideological prejudices and assumptions. As Gordon Allport once commented, a prejudice, unlike a simple misconception, is actively resistant to all evidence that would unseat it.